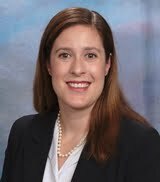 Elissa A. Tisdahl is Commercial Litigator and Registered Patent Attorney with an AV (Preeminent) peer rating by Martindale-Hubbell. She is admitted to the Florida and Illinois bars*, as well as the United States District Court for the Southern District of Florida, the United States Bankruptcy Court for the Southern District of Florida, the United States District Court for Northern Illinois, and the United States District Court of Maine. Her practice takes her to various federal, state, and appellate courts around the country where she conducts both jury and non-jury trials. In addition to her trial practice, Elissa has an active administrative practice in the United States Patent and Trademark Office, where she represents clients in a full range of intellectual property matters including patent, trademark and copyright. Elissa earned a B.S. in Biology from Bates College. As part of her studies, she investigated cytokine levels of pregnant women diagnosed with multiple sclerosis at Rush University Medical Center and studied tumor cell differentiation in prostate cancer at Memorial Sloan Kettering Cancer Center. Elissa earned her J.D. from the Chicago-Kent College of Law where she was a member of the Dean’s List and the International Moot Court Honors Society. She was the recipient of the CALI Award for Highest Grade in Negotiations. Outside of the office, Elissa is active in the community and has served as a community health volunteer in Paraguay, a volunteer for disabled orphans in Russia and as an instructor and counselor at a low-income community center. *Elissa was admitted to the Oregon Bar in 2010 and is presently resigned in good standing in Oregon. Elissa was also admitted to the Maine Bar in 2006 and is presently inactive.